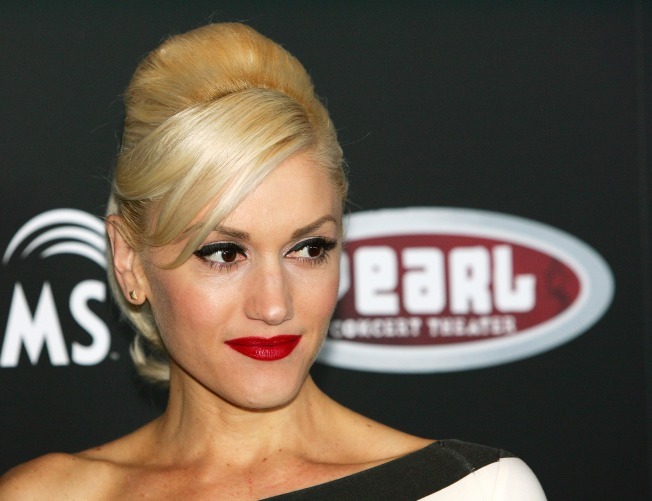 Gwen Stefani says being a mom is the hardest thing she's ever done. Gwen Stefani has conquered the charts, rocked stadiums around the world and become a musical icon – but the 39-year-old mom says raising her two kids with husband Gavin Rossdale is the most challenging part of her life. "I've always worked really hard and the hardest thing I've ever done is have kids!" Gwen told Glamour magazine's October issue, referring to her two sons, Kingston, 3, and Zuma, 1. Although parenthood is challenging, Gwen told the mag it's worth every second. "All of it," she said when asked which part is most difficult. "Everything from getting up in the morning to trying to be consistent to trying to have the right feelings. But, of course, the rewards are so great." And it appears Gwen and Gavin may have passed on the musical gene to her kids. "Kingston walked into a room the other day with a guitar, singing his song. I was thinking, 'Oh my God.'" Gwen said with a laugh. "But whatever. Everything that we were passionate about, my parents supported it. But they always made it really clear that those kinds of things, those dreams, never come true. And then you have your backup plan. You go to school. That was the way I was taught—[making it big] doesn't happen to people. And then it did." When asked how she has managed to avoid the pitfalls of the fast paced music world that many of her musical colleagues have succumbed to, the Orange County girl said the wrath of her own parents still keeps her in check. "Maybe my crazy time is coming up. Let's see what happens. Maybe I'm just a late bloomer. But I think it's also just my nature," she explained. "I was thinking today when I was driving, 'How am I going to make sure that Kingston never does anything bad and doesn't get arrested?' I was thinking, 'How did I stay out of trouble?' And I know it's just 'cause my parents are so strict. I mean, I'm still scared of them!" As for advice to others looking to follow in her footsteps, Gwen remained humble. "I've never been good at giving advice," she told the mag. "The only advice I ever gave people was to find something that you are passionate about. But I hate giving advice, because, who am I? I'm just a girl. I was like anybody else. Do you think that I ever thought I would be doing this right now? No!"